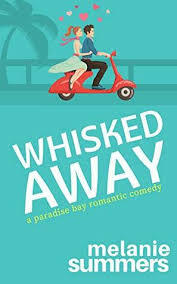 My Rating: A Good Read, I enjoyed it! Synopsis: You may not have heard of Fowler, Michigan, much less Becker's Bridal. But for the thousands of women who have stepped inside, Becker's is the site of some of the most important moments of their lives-moments that speak to us all. Housed in a former bank, the boutique owners transformed the vault into a "magic room," with soft church lighting, a circular pedestal, and mirrors that make lifelong dreams come true. Illuminating the poignant aspects of a woman's journey to the altar, The Magic Room tells the stories of memorable women on the brink of commitment. Run by the same family for years, Becker's has witnessed transformations in how America views the institution of marriage; some of the shop's clientele are becoming stepmothers, or starting married life for a second time. In The Girls from Ames, beloved author Jeffrey Zaslow used friendships to explore the emotional lives of women. In The Magic Room, he turns his perceptive eye to weddings and weaves together secrets, memories and family tales to explore the hopes and dreams we have for our daughters. 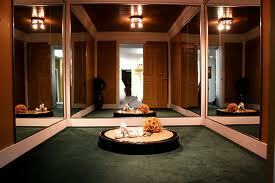 My Review: I couldn't believe it when I opened The Magic Room to chapter one. This book is about Becker's Bridal....in Fowler, Michigan. 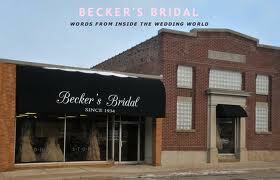 Becker's Bridal is about 30 minutes from where I grew up and yes, I too bought my wedding dress from Becker's! I never knew "the room" was called The Magic Room! I can vouch that you do feel "magically" in front of the mirrors on the pedalstal. There is also no doubt that Becker's Bridal has over 2,500 dress in stock. I know it was amazing experience to go and look through them all. I have also been to Becker's Bridal with many friends as they picked out their bridal gown as well. I could relate to so much of the book! The Magic Room is written in a very interesting way. Shelly Becker, current owner, is written about throughout the book. I really liked how the story focused on her past, present and hopes for the future. The book also has stories about the brides that come into to Becker's Bridal. We get to learn a little bit about the bride, her finance, family and wedding plans. 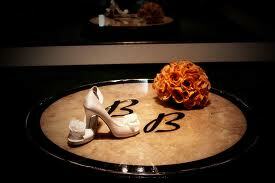 Each bride's story is broken up into different chapters: visiting Becker's, picking up their dress and their wedding. I really liked all the stories about the brides, but I think my favorite was about Julie. This was Julie's second trip to Becker's and her second marriage. I had to have the kleenex close by. The love that Julie and her first husband had was just amazing. It was so sad to read about how her husband died and the impact it had on herself and the kids. How she found love again and the reaction of her kids.....more kleenex (won't say more or it would be a spoiler alert). I also could swear that Julie was one of my mom's nurses when she was in the hospital, she just looked so familiar to me. I can't wait to send this book to my BFF with a note....remember shopping together - for my dress and yours! I know she will be excited as soon as she reads chapter one too! Don't worry though, you don't need to know anything about Fowler, Michigan or Becker's Bridal to enjoy this book. It is a really good read! About the Author: Jeffrey Zaslow is a Wall Street Journal columnist and, with Randy Pausch, coauthor of The Last Lecture, the #1 New York Times bestseller now translated into forty-one languages. Zaslow attended Dr. Pausch’s famous lecture and wrote the story that sparked worldwide interest in it. The Girls from Ames also grew out of one of Zaslow’s columns. He lives in suburban Detroit with his wife, Sherry, and daughters Jordan, Alex, and Eden. 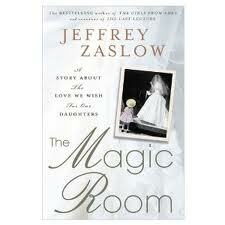 Read it: You can purchase The Magic Room on Amazon for $27.00. Connect: Connect with Jeffrey Zaslow. 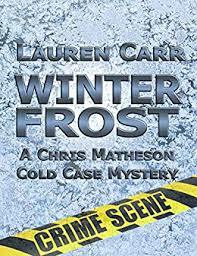 Thanks to Crazy Book Tours for the opportunity to read and review such a great book. I did not know you grew up in Michigan. How cool!!! I live in Michigan and love to read books by authors from here. Thanks for the recommendation!